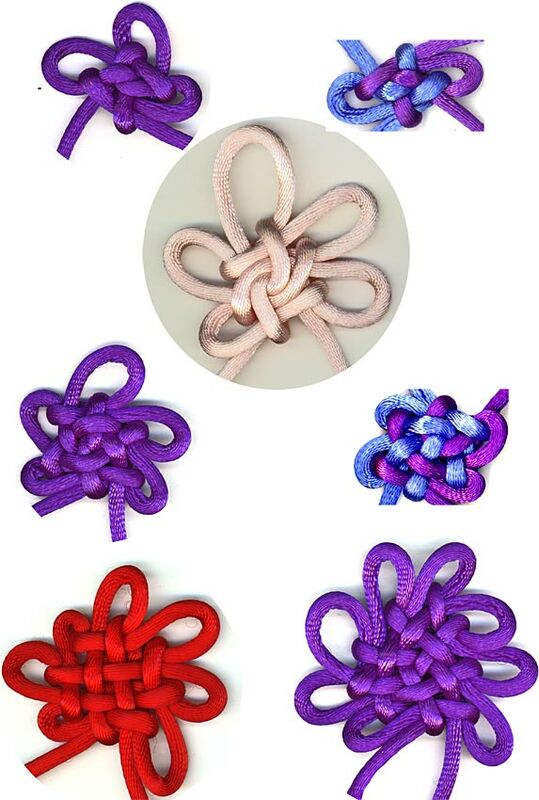 So, I've scanned step by step instructions for the double coin knot, creeper knot, cross knot, plafond knot, 2 methods for tying the sauvastika knot, and also the square or flat knot. Something I have finished though is an analysis of 寶結 (bǎo jié, The Treasure Knot) book. Also, I finally figured out how to tie woven bao knots, the "variation" mentioned with the vaguest of instructions in the book. Instructions for a new method of tying the plain bao knots, which logically extends into the woven bao knots to come. I also realized that I need to fix the naming on the main bao page. I think at the time I had the idea that the number of ears should be in the name of the knot, hence 2x4 where it should have been 2x2. In any case, that's all got to be changed.